Watch the Bosch Rotak Lithium Ion lawn mower in action. Charges 16 times faster than a standard battery. 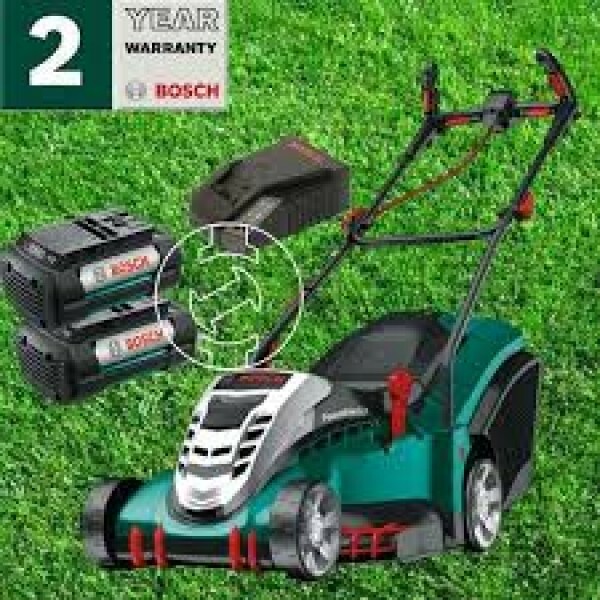 This Rotary Bosch lawn mower is for use on large areas of lawn and thanks to the two 36V batteries, the Rotak 43 LI can be used to mow lawn areas of up to 600 m². 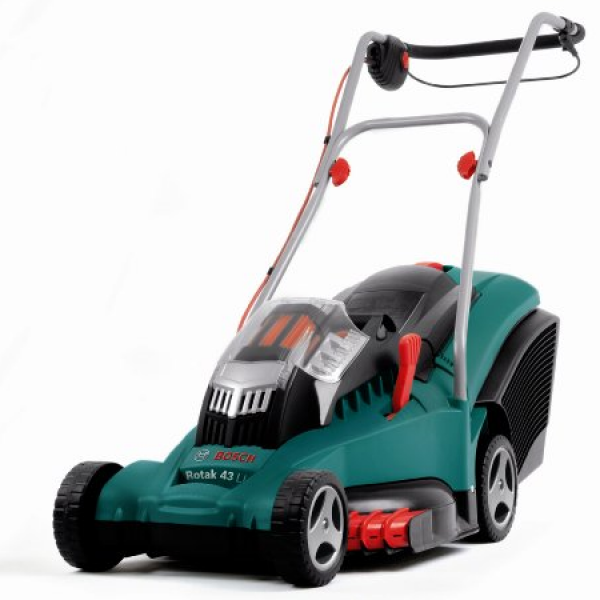 Powerful – even cuts long grass thanks to the 36V lithium-ion battery (2 pcs). Always ready for use: no self-discharge, no memory effect.